Ofsted has today published for consultation its draft framework for the inspection of maintained and academy schools, to take effect from September 2019. Curriculum will become a key focus of Ofsted under the plans, with inspectors looking for evidence that “young people are being taught the best of what has been thought and said”. Rather than focusing on pupil outcomes in isolation, Ofsted will consider whether schools are teaching a “broad and rich learning” and not narrowing the curriculum or ‘teaching to the test’. The consultation acknowledges that it will take schools some time to change their curriculum, and that schools showing positive intentions will not be penalised. A single ‘quality of education’ judgement will replace the existing ‘quality of teaching, learning and assessment’ and ‘outcomes for pupils’ categories. Pupil outcomes will instead be assessed in the context of the school, and inspectors will focus on “how providers are deciding what to teach and why, how well they are doing it and whether it is leading to strong outcomes for young people results are achieved”. By focusing on curriculum rather than outcomes, Ofsted wants to challenge the increasing practice of ‘off-rolling’ pupils – removing them from the school in interests of the school rather than in the best interests of the pupil – to ‘game’ accountability measures. The current judgement for ‘personal development, behaviour and welfare’ will be split in to two separate categories – ‘behaviour and attitudes’ and ‘personal development’ in response to demand from parents for Ofsted to provide them with better information about how well behaviour is managed in a school. Inspectors will not use internal data as inspection evidence but will ask school leaders to explain “why they collect the data they do, what they draw from it and how it informs their curriculum and teaching”. This is to ensure that inspection does not create unnecessary work for teachers. That inspectors will arrive at the school on the same day as the school is notified of the inspection, so that the inspectors carry out preparation onsite the afternoon before the visit, working with the senior leaders. Share the preliminary findings of the inspection confidentially with the senior leaders of the school including “all those responsible for the governance of the school so long as they are clearly marked as provisional and subject to quality assurance”. “All young people should be given the opportunity to reach their full potential; the curriculum they are offered should be sufficiently flexible to meet the needs of every child while also providing a rich and engaging path through their education. Governing boards have a clear and important role in promoting the best in learning and teaching; at the very centre of a school or trust’s vision should be what we want our pupils to leave our schools being, having learned and having done. It is important that those governing understand what the curriculum is, how it can be used to drive school improvement and with it, enrich the lives and futures of its pupils. 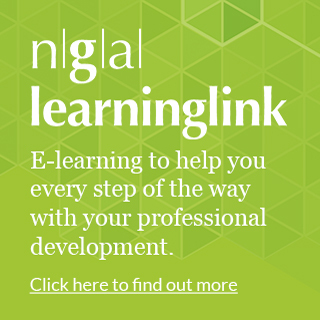 Over the coming months, NGA will provide further views, analysis and updates regarding Ofsted’s draft framework with our members, and give members the opportunity to feed in to our consultation response, including though our Spring regional meetings. Governing boards are encouraged to read and consider the framework, and respond to Ofsted’s consultation, which closes on 5 April 2019. 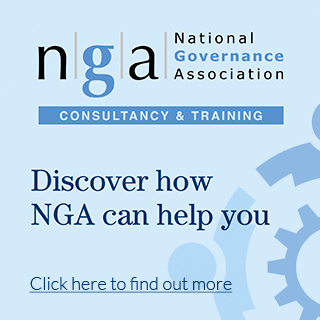 To support governing boards in effectively understanding and undertaking their role in curriculum, NGA is currently reviewing its definition and approach to the matter.